Today’s guest is Chanshi Chanda. Reverend Chanda (M.A in Religion, Africa Nazarene University) is a long time Nazarene. 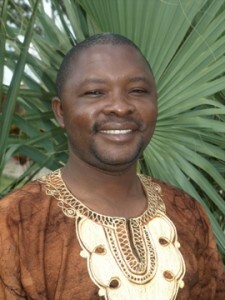 Congolese by birth and formerly a pastor and Field Strategy Coordinator of the French Equatorial Field (Africa Region), he currently resides in Lusaka, Zambia. He recently launched the Institute for the Study of Human Dignity and Freedom (ISHDEF), a Think Tank and advocacy group that seeks to bring Christian theological principles to bear in the economic marketplace. He is the author of Christlike Justice and the Holiness Tradition (2010). The excerpt below is part of the Nazarene Theological Institute course, “Introduction to the Old Testament.” It is reproduced here with Rev Chanda’s permission. The Council of Yahweh – Daniel 7.9-14 seems to present a celestial council of spiritual beings who surround God. The best description of this council appears in the vision of the prophet Micaiah in 1 Kings 22.19-23 where God is surrounded by the “host of heaven standing around him on his right and on his left” (v. 19, NIV). Yahweh created them, and he presides at their meetings, even if he doesn’t seek their advice (Isa. 40.13-14) like the gods of other religions. Yahweh is called the “LORD of hosts” (Isa. 47:4, NASB). Before this council, true prophets appear to hear the world of God (Jer. 23.18, 22). The number of angels or other members of God’s council is never mentioned in the Bible. God can send members of the council to carry out His will. They worship God, and they execute his wrath by acting as members of His celestial armies. The Old Testament gives to members of the council ranks according to their exact role: the adversary (Satan); the archangels, such as Gabriel and Michael (Dan. 8 & 10); and Job’s advocate (33.22-25), an angel who defends the accused against the charges of Satan. The primary function of angels is to worship God in His court and to announce God’s word, though they sometimes intervene to protect the lives of the faithful. The Angel of Yahweh (or Angel of the LORD) – Of all the spiritual beings in God’s presence, the strongest and most distinctive is the Angel of Yahweh who is given several functions (Gen. 25.7, Ex. 3.2, Num. 22.22, Joshua 5.13-15, etc. ), especially the task of communicating God’s messages to the prophets. In fact, it’s the Angel of the LORD who makes a meeting between God and humans even possible. In some of the accounts of these meetings, God and His Angel seem indistinguishable (ex. Gen. 16.7-14). The Old Testament emphasizes that no one can see God and live. Meetings with God must have a mediator. This “Angel of Yahweh” appears in all periods of Israel’s history and – thanks to this – we understand that God can act in the world of persons. Several Christian theologians – to support to the doctrine of the Trinity and the fact that Jesus is by nature the Son of God – discern the person of Jesus in the Angel of the LORD as presented in the Old Testament. Jesus is the sole mediator between humanity and God, and it is Jesus who sanctifies believers. Leviathan – The Old Testament often uses language borrowed from the cultures of Israel’s neighbors. The title “Leviathan” is one example, taken from the religion of Canaan and perhaps Babylon. This title is connected to the power of the waters of the sea and the fear that this power engenders. In the Babylonian accounts of Creation, it’s such an aquatic monster that is at the same time the power of the sea waters and the goddess of the sea who mounts a rebellion against the council of the gods. In the end, she is cuts in two, and the pieces become elements of the Creation. The fear of this spiritual power is behind the Creation. In this Canaanite accounts, the sea waters destroy agriculture. The waters are presented as a sea monster. For the Israelites, on the other hand, in conformity with their monotheism, they didn’t believe in any creator gods except Yahweh, but they still were afraid of the sea powers. (See the explanation in the first presentation of this lesson). It seems – after reading several texts – that in the Jewish vocabulary, “Leviathan” referred to an ugly aquatic creature, one who is fearsome, but who also is pleasing to God. In some OT passages, “Leviathan” is translated as “crocodile,” where it’s clear according to the context that it’s talking about an animal and not a spiritual force (see Ps. 104.26). In other passages, however, the word is used in a figurative sense, where the author is referring to evil spiritual forces (see Ps. 74. 13-14; Isa. 27.1; Job 3.8-9, 7.12, 26.12-13). In these cases, the author borrows this idea from the Canaanite literature. The same idea is expressed in Isaiah 51.9, where we read: “Was it not you who cut Rahab to pieces, who pierced that monster through?” The term “monster” comes from Bayblonian literature. Satan – The conception of “Satan,” from the Christian point of view, takes shape in-light of New Testament passages, such as the teaching of Jesus and the book of Revelation. However, the Old Testament presents Satan in a different light. In the Old Testament, one finds the expression “satan” (small “s”) with the definite article “the.” So, “the satan” is a role to play and a person. The best description we have of this character is found in Job 1 and 2. In God’s council, God is the judge. There is also a prosecutor and a defense “attorney.” In Job, the term “redeemer” is the defense lawyer. It’s the redeemer who will appear before God in Job’s place, since Job – as a mere man – cannot come before God and live (see the first presentation). The prosecutor is “the satan.” His role is to test the faithfulness of God’s people. However, the satan does his work in a particular way. He accuses the faithful by using lies, or suspicions. That’s why the OT calls him the “adversary.” This idea is behind Jesus’ description of the devil in John 8:44b: “For he is a liar and the father of lies.” A study of the royal courts in OT times shows that there wasn’t a single person who played this role. In any case, the accused person had to prove his or her innocence, or else the “redeemer” (defense attorney) had to establish it. However, in the OT, it seems that a single angel always played the role of prosecutor. In short, according to the Old Testament only, is would appear that the satan wasn’t yet considered the chief of the rebellious angels, who were totally opposed to God’s reign. He was a creature of God who acted according to God’s commands. His job was to prove the faithfulness of God’s people. Some OT writers attribute to him certain actions that they’d rather not attribute to God Himself. The OT also doesn’t make the connection between the serpent in Genesis and the satan in Job. It’s the book of Revelation that will make this connection many centuries later.